—I have seen a lot of people die and none have come back, so it can’t be all that bad. —I believe in divine justice every time one of my enemies dies. —Michael told me I had awakened him; he said my thinking was making an infernal racket. 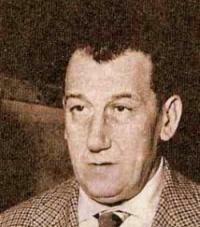 Marotta was from a poor family in Naples and moved away to Milan as a young man to pursue a career in journalism. During that period of his life, he wrote for a number of newspapers, including the Corriere della Sera, the prestigious and largest Milanese daily. He continued to work on stories, plays and screenplays; they display a marked lack of false sentimentality and are now regarded as early influences on the important school of Italian Neo-Realism after WWII. Aside from his journalistic writings, he published his first book, Divorziamo per piacere, in 1934. At the time of his death in 1963, he was a film critic for the magazine, L’Europeo. In between, he picked up the coveted 1954 Bugatta literary award for Coraggio, Guardiamo; he helped write the screenplay for the first Italian “musical,” Carosello napoletano in 1954, and, most importantly, left an indelible mark in literature about Naples with L’oro di Napoli (which has appeared in English as Neapolitan Gold), a collection of vignettes about Neapolitan life. The book is absolutely timeless in its descriptive power, which is to say that it “feels” as if it has always existed. Neapolitans from 500 years ago could read it and enjoy it, and future generations will do the same. Vittorio De Sica turned the book into a film in 1954, using some, but not all, of the episodes in the book. Marotta helped write the screenplay together with Cesare Zavattini, one of the great screenwriters of Italian Neo-Realism. The film features the two most characteristic personalities of Neapolitan stage and film of the twentieth century, Eduardo de Filippo and Totò; Sophia Loren is in the film, as well, and director De Sica appears in a famous episode involving the card-game, scopa. Like much Neo-Realism, the film is bitter-sweet. In some versions of the film, one of the six episodes, il funeralino, depicting (with almost no dialogue) the funeral procession of a small boy, has been edited out. An item dealing with an episode from the book L'oro di Napoli not in the film version. Something from the "Raspberry" episode in the film. Something about the pazzariello episode.